Prologis agreed to acquire smaller U.S. rival DCT Industrial Trust in an $8.4bn transaction, including debt. The deal is the largest for Prologis since it merged with AMB Property in 2011 in an $8.7bn transaction. The acquisition, which is expected to be completed in Q3, will make the world’s largest warehouse owner even bigger. DCT’s 71m sq ft operating portfolio is expected to deepen Prologis’ presence in key high-growth markets including New York, New Jersey, Southern California, the San Francisco Bay Area, Seattle and South Florida. Those are the places that have seen the greatest demand for warehouse space, largely attributed to e-commerce, as online retailers require about three times the warehouse space of traditional brick-and-mortar stores and seek to move closer to the customer. Prologis chairman and CEO stated that DCT’s realigned portfolio is complementary to its own in terms of market position and growth potential. Indeed, DCT and Prologis have competed to improve e-commerce services for their tenants, often in warehouses literally right next to each other. The company is hopeful that this strategic fit will allow it to capture significant scale economies immediately. 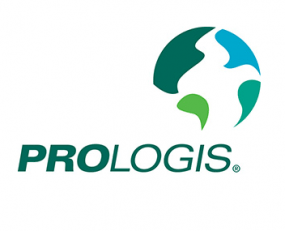 The deal also diversifies Prologis customer base through the addition of some 500 new relationships. The transaction is anticipated to create substantial synergies, including near-term savings of approximately $80m, the statement said. The deal comes as a surge in e-commerce fuels demand for more warehouses and distribution centres, including high-rent sites near population centres used to ship online purchases more rapidly to consumers. This increased demand for e-commerce fulfilment has driven more investment into the field and has seen a rapid proliferation of warehouses and distribution sites in the U.S., Europe and Asia. According to a recent JLL report, the revolution of e-commerce is changing what, where and how many distribution centres are needed to feed the e-commerce consumer. In a bid to narrow the gap with brick and mortar stores, e-commerce and logistics companies are looking to accelerate their investment in last-mile warehouse spaces, using logistics space to extend their reach to connect with customers. Prologis has taken a proactive approach to respond to this reconfiguration of supply chains driven by e-commerce trends. Acquiring land in the markets most important to its e-commerce tenants has been a strategic objective for Prologis, so the acquisition of its rival and its portfolio in the key high-rent U.S. markets reflects this strategic commitment. As stated by Hamid Moghadam, Prologis CEO, the equation is about finding the right piece of land, in the middle of a dense affluent population centre and being able to build a modern logistic product that is effective and efficient for retailers and logistics providers to distribute goods to customers. Moving forward, location strategy which is even more focused on proximity to customers will likely fuel demand for smaller distribution centres closer to urban cores. However, finding the right location will become challenging. Indeed, for Prologis, the biggest challenge to growth has been acquiring land in the markets most important to its e-commerce tenants, so the quickest solution was to buy its competitor.